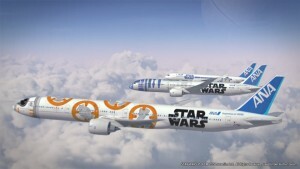 In 2015, ANA generated interest worldwide and a collective jaw-drop when it announced three Star Wars airplanes for its fleet. 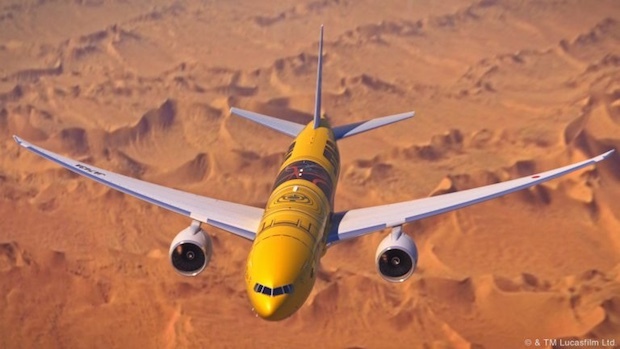 Evidently the planes in Star Wars-themed exteriors are popular and proving a good promotional strategy, since ANA has returned with a new Boeing 777 with a design borrowed from another of the droids from a galaxy far, far away. Originally announced last year, the C-3PO ANA Jet will be in the air from March 21st, flying domestic routes between Tokyo’s Haneda Airport and cities such as Kagoshima, Itami (Osaka) and Hiroshima. There will also be special boarding certificates for people who board the jet in the first few days of flights. 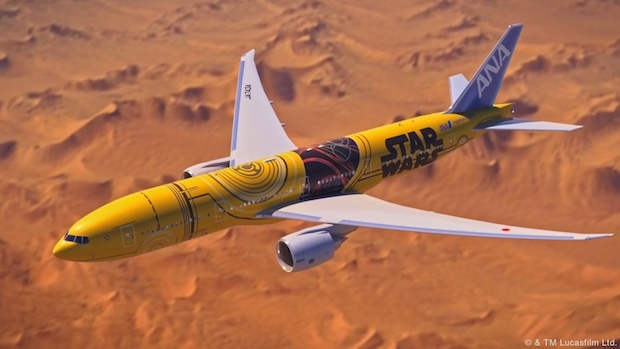 There are now four Star Wars jets in the ANA fleet: R2-D2, BB-8, C-3PO, and a general Star Wars design. It’s curious that they have only stuck to the droids so far. Why not a Galactic Empire plane? Or an X-Wing jet?! 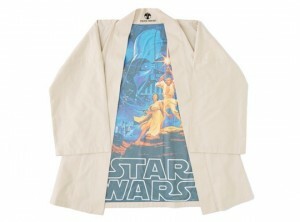 ANA, the largest airline in Japan, has a general tie-up deal with Disney’s Star Wars franchise. For example, it used footage from Rogue One in one of its recent TV commercials. 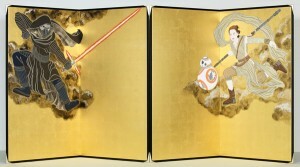 Previously notable Star Wars tie-ups in Japan include themed hanten clothes and folding screens at a temple in Kyoto.